The Emerald Tablets of Thoth are a series of writings purported to have been written 36000 years ago. Upon them are engraved characters in the ancient Atlantean language: characters which respond to attuned thought. They detail the magical workings of an ancient advanced civilisation that pre-dated the end of the Last Ice Age. It claims to be the work of Hermes Trismegistus, an amalgam of two mythical personae, the Greek god Hermes and the Egyptian god Thoth. This is not unusual in itself given the ancient Egyptian God Thoth was known by many name. What astounds the many who have read transcriptions of the Tablets is its fantastic descriptions of realities that defy rational belief, however their authenticity have yet to be refuted by scientific scruitiny. 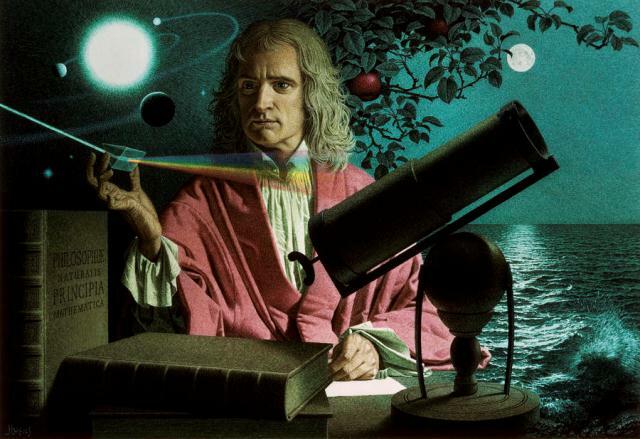 Among them were learned men such as Trithemius, Roger Bacon, Michael Maier, Aleister Crowley, Albertus Magnus, and Isaac Newton. The eminent psychoanalyst C.G. Jung identified one of “The Emerald Tablets” with a table made of green stone which he encountered in the first of a series of dream visions. 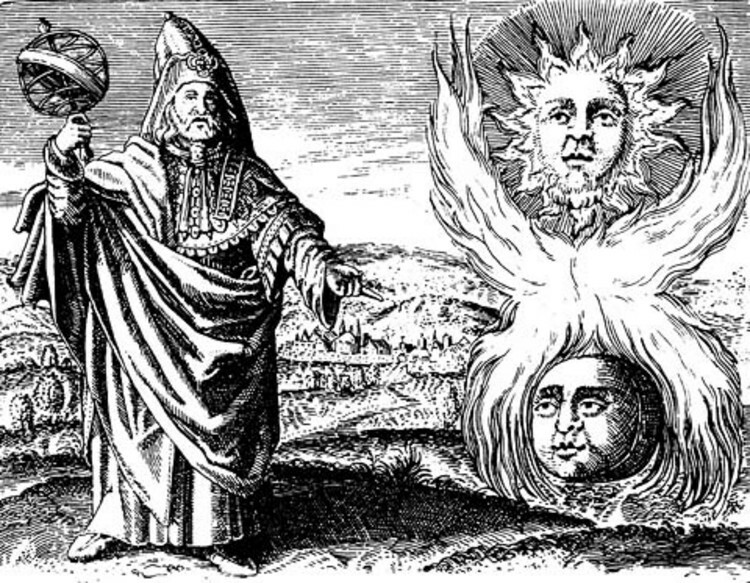 The volume of knowledge consist of twelve tablets of emerald green, formed from a material brought about through the alchemical process. They are said to be imperishable, resistant to all elements and substances. The Tablets claim Thoth was among other things the builder of the Great Pyramid of Giza, a feat erroneously attributed to Cheops. In it he encoded his knowledge of the ancient wisdom of Atlantis and also secreted records and instruments of its culture. Thoth ruled the First Kingdom of Egypt, from approximately 52,000 B.C. to 36,000 B.C. At that time, the ancient barbarous race among which he and his followers had settled had been raised to a high degree of civilization. Thoth was said to be an immortal, having conquered death, passing over at will but not through the death process. His vast wisdom made him ruler over the various Atlantean colonies that survived the end of the last ice-age, including those in the Americas. When the time came for him to leave Egypt, he erected the Great Pyramid over the entrance to the Great Halls of Amenti, placed therein his records, and appointed guards from among the highest of his race, the descendants of these guards became the pyramid priests. Thoth was eventually deified as the God of Wisdom, & in mythology, the Halls of Amenti became the underworld, the Halls of the gods, where the soul passed after death for judgement. 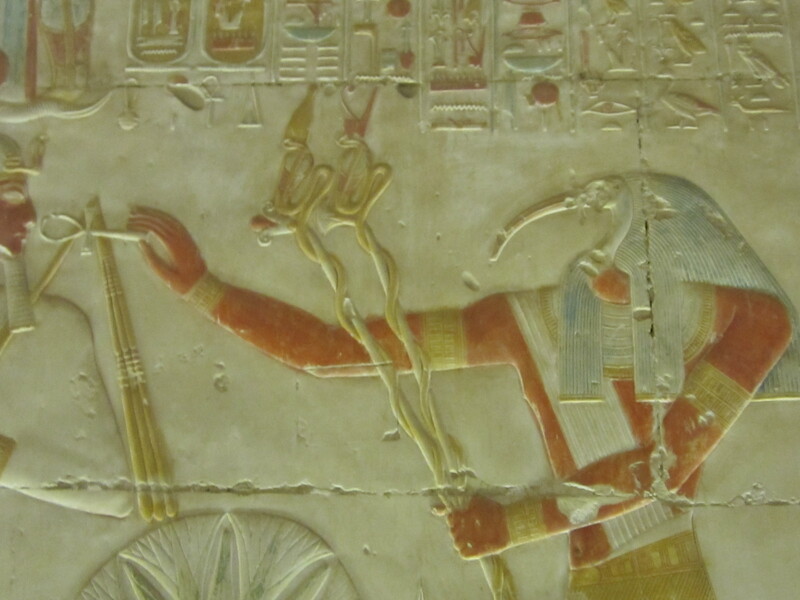 During later ages, the spirit of Thoth passed into the bodies of men in the manner described in the tablets. As such, he incarnated three times, his last being Hermes, the thrice-born. In this incarnation, he left the writings known to modern occultists as the Emerald Tablets, a later and far lesser exposition of the ancient mysteries. It is these writings that inspired the Renaissance of medieval times, having been passed onto Europe by The ancient Greeks. 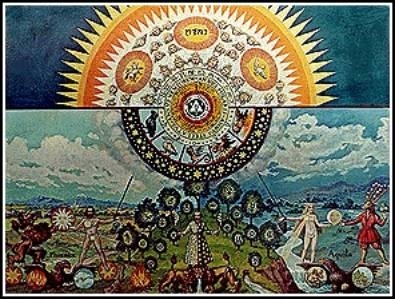 What made them so valuable was their detailed instructions in the art of alchemy & its allusion to the recipe for the transmutation of lesser metals into gold. Tis true without lying, certain most true. That which is below is like that which is above that which is above is like that which is below to do the miracles of one only thing. And as all things have been arose from one by the mediation of one: so all things have their birth from this one thing by adaptation. It ascends from the earth to the heaven again it descends to the earth and receives the force of things superior and inferior. By this means ye shall have the glory of the whole world thereby all obscurity shall fly from you. Its force is above all force. for it vanquishes every subtle thing and penetrates every solid thing. From this are and do come admirable adaptations whereof the means (Or process) is here in this.